Hacker Russ Cox is all set to make a new iOS 11.2 exploit public. 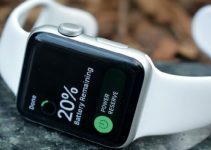 Here’s how this will benefit the jailbreak community. 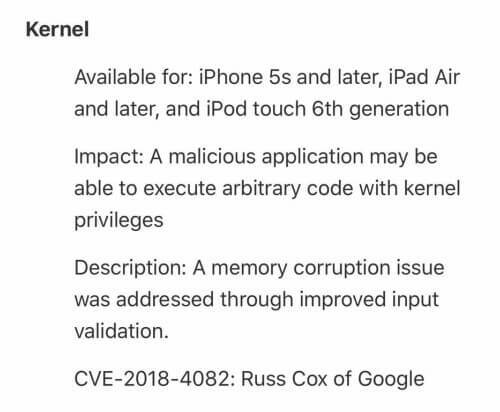 Security researcher Russ Cox will soon make public a new kernel exploit for iOS 11.2 firmware. For those who don’t know, Cox is a respected figure in the hacking community and works for Google. This vulnerability allows you to run arbitrary code from inside an application with full kernel permissions. Apple patched this exploit or vulnerability in iOS 11.2.5. Here’s a screenshot of the Apple’s security notes for this version that confirms this. According to a tweet from his official Twitter handle, Russ does intend to release it soon. He didn’t yet mention anything about compatibility but everything will become clear once the exploit is out. 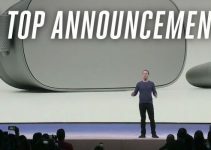 He also remarked that this bug was “no that interesting”, which indicates that it may not be as powerful as think it is. It could also be an attempt by him to keep the trolls and kids at bay. Downgrading to iOS 11.2-11.2.2 is essential right now. This will ensure that Cox’s exploit will support your device and increase your chances of getting a jailbreak. If you are on iOS 11.1.2 or below, I suggest saving SHSH Blobs for your device as soon as possible. You can use Telegram jailbreak bot to save blobs for your device. Remember, you must hurry up because Apple can stop signing these versions anytime now. Having SHSH Blobs will ensure you can upgrade to a new jailbreak tool if it gets released. Some users were also asking if it’s safe to update to iOS 11.2 or above. The answer to that is, of course, no. An exploit doesn’t guarantee that a jailbreak will drop sometime in the future. 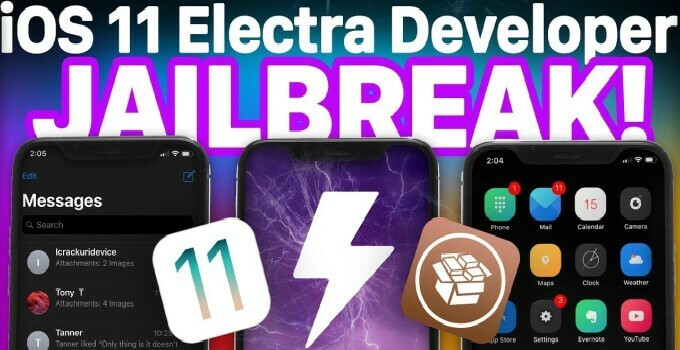 Existing jailbreak tools like Electra and LiberiOS are already pretty stable. 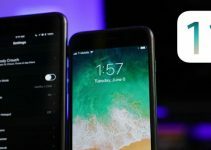 Relinquishing iOS 11.1.2 or an older version will have you waiting for a jailbreak for months. For more jailbreak news and updates, follow us on Twitter and Facebook. I have a question I’m jailbroken on iOS 10.3.3 I had to do a warranty trade with apple. I have saved my shsh files from 11.2-11.2.5 if a jailbreak ever drops for 11.2 will I be able to use my shsh files to update ? Thanks for the help. The shsh files are for my new device. SHSH Blobs must relate to the device you want to restore, otherwise, the restore will fail. 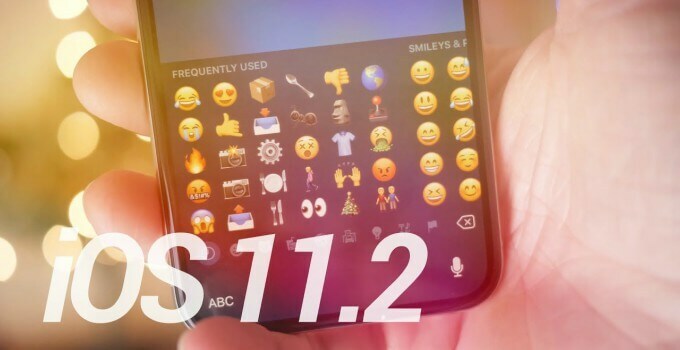 Can we go from jailbroken 11.2 to 10.2.1? If no then why? No, because you must have a signed SEP firmware and blobs for iOS 10.2.1. To downgrade you need to have a compatible SEP firmware (it is not signed by your SHSH). If a JB is released for 11.2.x and if an user has SHSH blobs for 10.3.3, can user make downgrade from jailbroken 11.2.x to 10.3.3? Or user should downgrade from 11.2.x (jailbroken) to 11.0.x or 11.1.x with SHSH first and then to 10.3.3? No, you can’t unless you have an A7 device. You can go to iOS 11.1.2 or below if there’s a jailbreak for iOS 11.2 or above. Can we go from jailbroken 11.0.2 to 10.3.x? If no then why? No, there’s no signed SEP firmware for 10.3.x except for A7 devices.